Later this year, indie developer and publisher Altered Matter will release its first game, Etherborn, on Steam. Exactly when the game will release hasn't been revealed yet as it's still in development. We've spent some time with a demo version of the game, and we have some thoughts. Before we jump into those, though, it's worth remembering that some things may change before the game officially launches. This is, consequently, not an official review. When first launching Altered Matter's Etherborn, players are greeted by a disembodied voice speaking to them in calm tones about the mysteries of existence — particularly their existence. The player's avatar is a transparent human form, almost a walking X-ray of the body's internal systems. They appear in a quiet blue lake as music that could likely be found on a meditation app plays — complete with bells, light drum beats, and wind and string instruments that slowly crescendo and fall in a breathing pattern. The only other sound is the splashing of water as the player runs through a lake or a soft drumbeat on the occasion they fall. 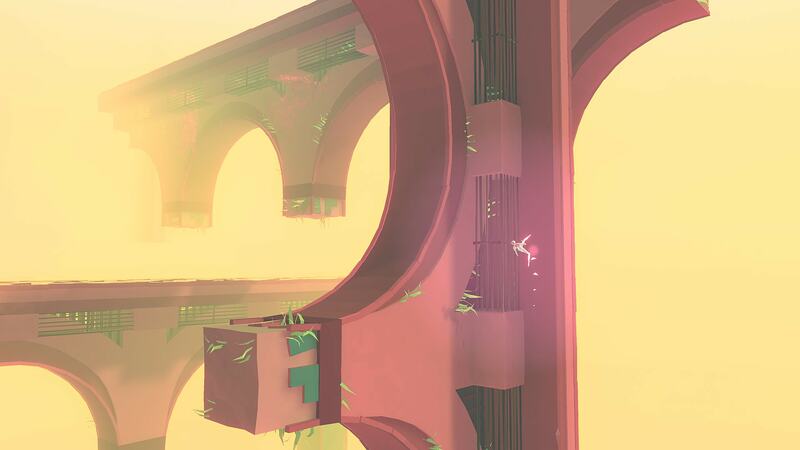 This pretty much sets the tone for Etherborn, a game filled with geometric shapes rendered in soothing colours caressed with a soft light that almost always feels as if it were slipping through a break in the clouds. Based on these first impressions, one might think Etherborn is a mellow game intended to be a relaxing experience. This is kind of true, but only if the player is someone with a lot of patience. Once they get past the tutorial phase of the game, where they learn to move around and are introduced to the story, they find themselves at the base of a tree. Climbing the path of the tree and exploring each of the branches leads players to different puzzle maps, each of which adds a small piece to the greater puzzle that needs to be solved. This is where the real fun begins, complete with all the frustration that can come from trying to solve a puzzle when you can't really see the entire thing at once. 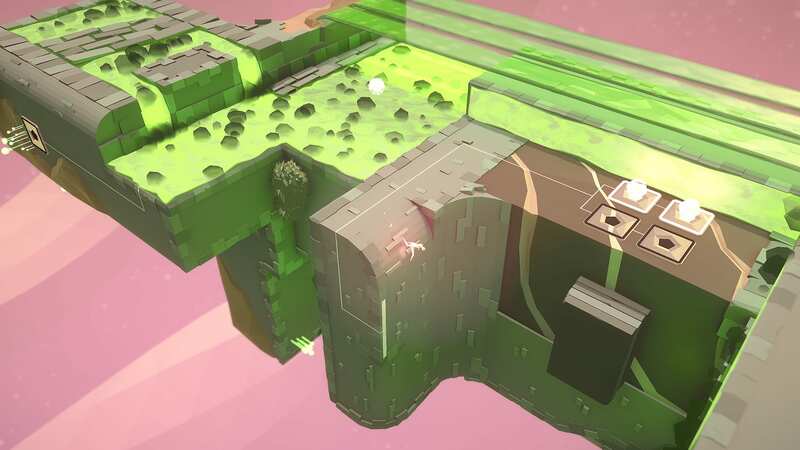 Etherborn is a puzzle game — or as the developers describe it, a gravity puzzler. The mechanics are fairly simple. 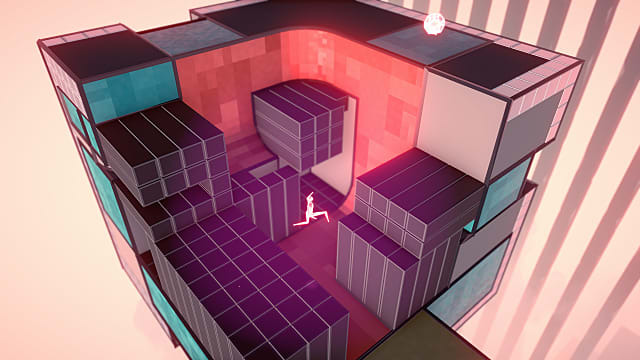 Players use the "WASD" keys to move around, "shift" to run, and the "spacebar" to jump. Each puzzle consists of a rotating map in 3D space. Players can move around corners and up walls wherever they see ramps or the corners are rounded, causing the maps to rotate as they play. Of course, things aren't as simple as just moving from Point A to Point B. In order to solve puzzles, players need to open up new paths in the right order. The only way to do this is to collect orbs and place them on platforms, causing bridges to raise, lower, or extend. In some cases, this requires a lot of back-and-forth with players crossing over the same area repeatedly. Again, this seems fairly easy at first, but there is another thing to contend with. Since the entire map rotates as players move, the camera rotates with it. This means that the game effectively chooses what and how much of the map the players sees at any given time. The game will even dictate how far away or how close to the camera the avatar is at any given moment. Granted, players can zoom out using the "Q" key, but that doesn't guarantee the best view of the puzzle either. If you're one of those people who really love to control what the camera is doing, Etherborn may be a bigger challenge for you. Due to the game's design, it's almost natural to want to turn the map yourself, almost like you would a Rubik's cube when trying to solve it. In some cases, the player can look at the map and see where they need to go, and maybe the two or three steps right before they get there. But without being able to rotate the map as a whole, it's very easy to miss the one or two places you need to go before getting to those final three. Because of this, a player can spend a great deal of time running back and forth over the map they're trying to solve. For those with minimal patience, this will be the real challenge. There are, also, plenty of obstacles aside from the walls and gaps. Players need to navigate their way over or around elemental obstacles as well, such as streams of acid, which can be daunting from time to time. Another issue some players may have will be with the "WASD" control. While it's pretty standard, the camera angles often mean players will need to hold down a combination of two of those keys, sometimes in addition to the left "shift" key. If you're a player who had issues with your joints or hand control in general, this may be a problem. The good news here is that the game is controller compatible. In fact, it tells the player when the game launches that this is the best way to play, offering a bit more accessibility. Unfortunately, I was unable to try the came with the controller, so I can't speak to how well it works at the moment. It's also worth noting that at the moment, when Etherborn is closed out, it doesn't seem to save progress. There are menu options related to game save data, so I believe that by the time the game launches it shouldn't be a problem. There's a reason to be patient with the game, though. The player is effectively born into this world with no memories or any idea of who they are or how they got there. The only way to gain this information is to explore the tree and solve the puzzles. And the thing is, you're probably going to want to see where this is going. There are a lot of things that are unanswered when you start the game. "Who are you?" "Where did you come from?" "What's your purpose?" "Who is the disembodied voice talking to you? Do they really want to help you or are they toying with you?" "Is this a GLADOS and Chell situation... only with far less death involved?" In addition to that, there's another reason to remain patient. It's that complete "ah-hah!" moment when you finally see what it is you've been missing. There are plenty of these in Etherborn, and they leave the player feeling pretty good when they happen. I can say that in its demo state, Etherborn is very well put together. It's a (frustratingly) fun and serene experience. I didn't come across any technical or glitchy issues and the whole thing just looks beautiful. 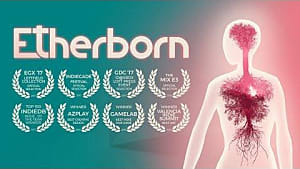 When Etherborn does officially release, I believe it will be worth the download. 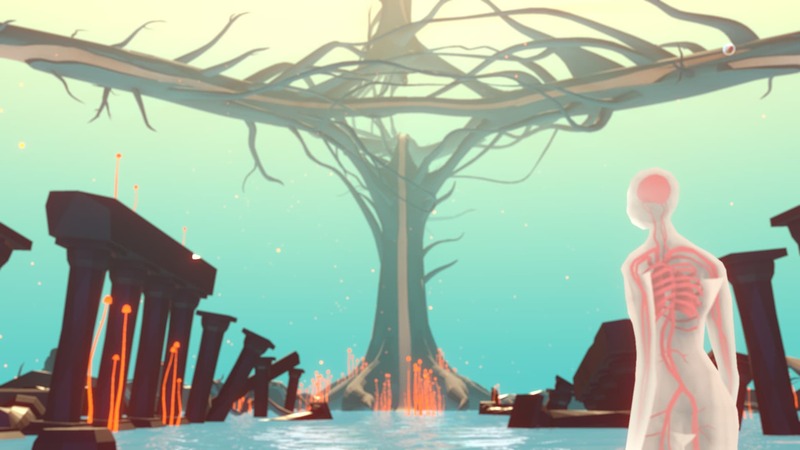 Everyone should have some meditative and thoughtful games in their collection. Etherborn is definitely a great place to start. For those interested in the game and would like to keep up with what the developer is doing with it, more information can be found on Steam. The game will also be releasing on Switch, PlayStation 4, and Xbox One.